Conformed by bogotain musicians, all of them from the jazz scene, Suricato is a band that manages to combine through its new format (voice, guitar, bass and drums) a diverse and balanced musical style in which faint and abrupt voices, dreamy lyrics, sharp guitars and a rock rhythmic base, are the most suitable ingredients to offer the listener a contradictory sonic experience now that from the soft moderation they can easily go to more impetuous and risky lands. Their surprise debut, “Remolque Juguete”, was edited in the La Distritofónica catalog and was considered one of the Best Albums of 2011 by the Semana Magazine. That same year they were invited to participate in the Festival de Jazz de Buenos Aires. 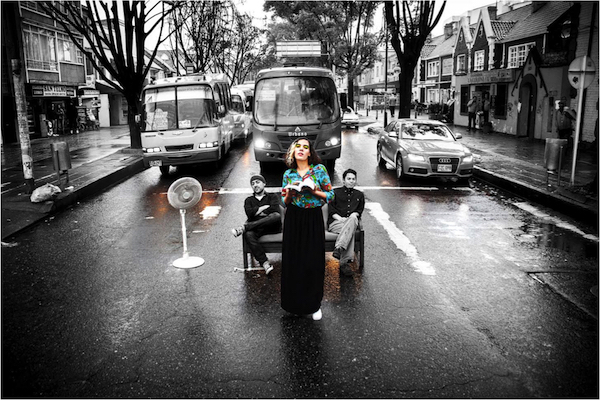 In 2012 they participated in the Compositores Javerianos V project and the Jazz Colombia MTM Vol.II Compiled, on September 2013 they were one of the District Guests to the eighteenth edition of the Festival Jazz al Parque and on october they released their second album “Rosario de Plumas” with La Distritofónica collective which also had mediatic support. On April 2014 the band did its first tour to México, where its music had great reception. We are very proud to be part of “The Answer is Colombia”. SURICATO at Terraza 7. Saturday November 21th, 2015 at 10:00 pm.